We regularly get requests from researchers who would like us to write a letter of support or to partner with them for a grant application. We are happy to consider such requests on a case by case basis, but depending on the level of involvement required, may not be able to accommodate all such requests. If you would like us to partner with you on your project or write a letter of support for a funding application, here are some points to help you! Involve us early. Don’t wait until a week before your grant deadline, such last minute requests may be turned down. Explain to us how your research will help to meet the research recommendations set out in the Critical Research Gaps in Colorectal Cancer Initiative. Please send us a copy of your application (which will be treated in confidence) so we have a clear picture of what your research is about. If you would like us to get involved or partner with you, be clear about how we will be involved in your research. Will we need to attend meetings? Will we get updates on the project? Do you need us to help disseminate information? If you have already done so, please tell us how you have involved and consulted with patients in the design of your project. If not, please explain why not. We have set up a Research Network, consisting of people who have been closely affected by bowel cancer, that you can access at any stage in the grant application process and post-award as your project progresses. It is vital that you consider how you can meaningfully involve people affected by bowel cancer in your research. We strongly suggest that you seek patient input as early as possible in the research design process and think about how they can be involved as the research progresses. 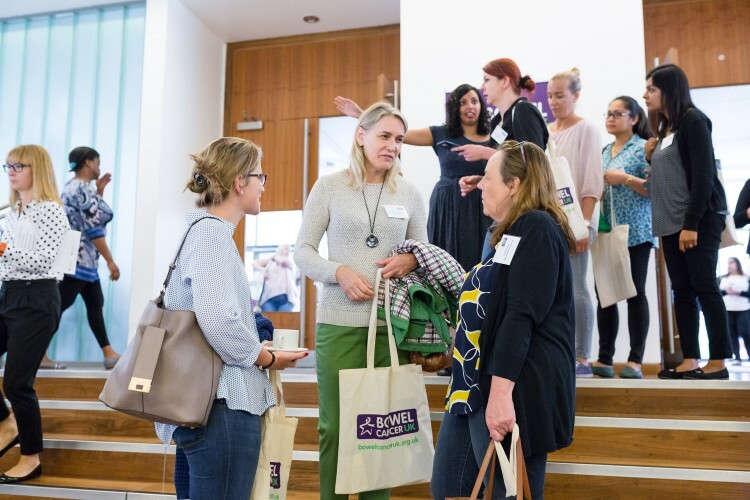 If you are a researcher who would like to find out how the Network can help you, or if you have been affected by bowel cancer, or are at higher risk of bowel cancer and would like to be involved in the network, please take a look at our Involving Patients page.